We heard this morning that the ban on the Australian Samsung Galaxy Tab 10.1 had been lifted, and now it looks like Apple is trying to ban the new revised Samsung Galaxy Tab 10.1N in Germany. 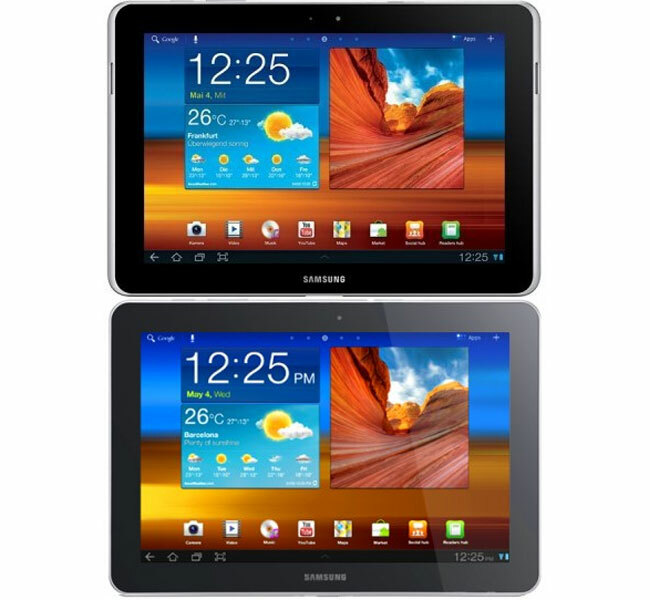 A German court ruled a while back that the original Galaxy Tab 10.1 violated Apple’s patents, so Samsung changed the design, and released the tablet in Germany as the Galaxy Tab 10.1N, the photo top below shows the new Galaxy Tab 10.1N and the bottom photo shows the original Galaxy Tab 10.1. It would appear that the design changed that Samsung has made to the Galaxy Tab 10.1 for Germany aren’t enough for Apple, and now Apple is claiming that the new design still infringes on the companies patents. The next hearing in the case is scheduled for the 22nd of December, and if Apple wins again, the Galaxy Tab 10.1 could end up being banned in Germany for the second time.